THE RIGHT of persons with autism to the equipment, assistance and support services necessary to live a fully productive life with dignity and independence. THE RIGHT of persons with autism of equal access to and use of all facilities, services and activities in the community. THE RIGHT of access of persons with autism (and their representatives) to all information contained in their personal, medical, psychological, psychiatric and educational records. Schedules to the basic Charter which was presented by the International Association Autism Europe at its Congress at The Hague, Holland, May 10th 1992. Persons with autism should share the same rights and privileges enjoyed by all of the European population where such are appropriate and in the best interests of the person with autism. Over the years there have been a number of ‘declarations’, ‘charters’ and ‘bills of rights’ drawn up on behalf of persons with disabilities. Although their intentions are clear and the spirit and sentiments are to be applauded, none of them have addressed all of the particular range of problems presented by autism. The Nation States affiliated to the United Nations or to the European Community have agreed to support these statements and thereby have been pledged to incorporate them in some form or another, into their legislative programme. If this had actually happened, this Charter would be unnecessary. However most, if not all, states, while accepting the principle of these statements, have failed to adjust their legislation appropriately and completely failed to make available the range of provision or deliver a quality of service which acceptance would entail. Acceptance of a range of principles is simple and most states would claim to do so and to uphold the requirements. However, no state currently provides a fully satisfactory service. These schedules are designed to explain precisely what is meant by the Charter and what its acceptance entails. It attempts to set out concrete examples by which compliance with the various clauses of the Charter may be evaluated. 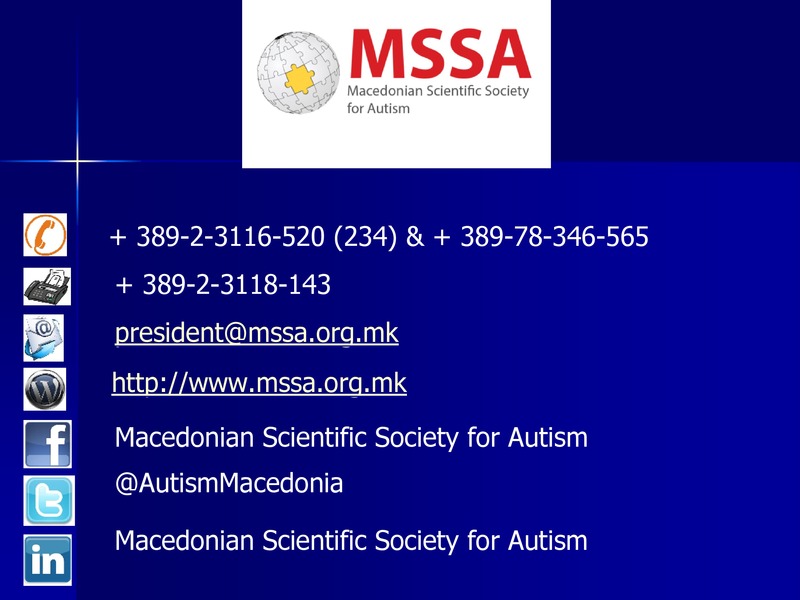 The precise mode of implementation of these basic rights will change as our understanding of autism ; our development of newer techniques and therapies; our opinion of what constitutes best practice and the underlying values and standards of society develop. These schedules will be reviewed and updated regularly but the principles enshrined in the Charter will remain. 1. THE RIGHT of persons with autism to live independent and full lives to the limit of their potential. This is the basic right of all human beings in a civilized society. All other requirements which follow are means towards obtaining this substantial yet basic human right. The consequences of being born with a disability of any sort should not include the removal, dilution or debasement of those rights enjoyed by all fellow members of society. Rather these rights and privileges should be extended and enhanced in order to ensure that the person with autism’s potential is not crushed by ignorance, fear, callousness or prejudice. 2. THE RIGHT of persons with autism to an accessible, unbiased and accurate clinical diagnosis and assessment. The importance of an accurate diagnosis cannot be over-emphasized. Without such a diagnosis it is unlikely that services appropriate to the particular needs of the person with autism can be provided or maintained. The diagnosis should be based upon the criteria accepted throughout the great part of the world as the most reliable and accurate. Although minor variations in detail are acceptable, they are currently those described in the 4th edition of the Diagnosis and Statistical Manual of the American Psychiatric Association. Any diagnostic classification must ensure the acceptance of autism as a long-term handicap rather than a result of psychological insult or temporary psychosis. The diagnosis should be carried out by competent agencies familiar with a wide range of psychiatric disorders including autism. The diagnosis should be carried out by an agency which has no vested interest in the outcome of the diagnostic procedures. The results of such diagnoses should be conveyed to the person afflicted where appropriate and/or their closest relatives or those responsible for their care. 3. THE RIGHT of persons with autism to accessible and appropriate education. Although some of the difficulties experienced by persons with autism are shared by those with other forms of disabilities, there are particular difficulties inherent in autism which require understanding and specialized educational techniques which are not generally available in generic educational environments. Each individual person with autism should be assessed by experienced educationalists and their own particular needs determined. In order to avoid the possibility of vested interests influencing decisions this assessment should, wherever possible or appropriate, involve a substantial input from those not directly associated with service providing agencies. A personalized package should be designed to fit the needs of the individual. This could include full integration into normal school systems possibly with special programmes. In any case teachers should be aware of the particular needs of the individual and the family. The range of available options should include the possibility of special classes or schools for persons with autism with, in situations where it is required, residential facilities. The personalized programme could well include elements providing a variety of experiences to suit the needs of the individual. In the design of any personalized plan, the use of the least restrictive environment possible should be a primary consideration. Particular attention should be given to pre-school age children since the benefits of tuition at this stage are generally considered to be of especial importance. Parents and other family members should be partners and actively involved in the education programme since evidence suggests that such participation is particularly beneficial in autism. The progress of each child should be constantly monitored against set criteria. Where a particular therapy is proving effective, it should be pursued; where progress is disappointing the therapy should be discontinuated and replaced by other programmes. The range of possibilities should not be limited by dogmatic principles. The provision of adequate facilities for education and development should not place a severe financial burden on the families involved. The situation varies between countries but in those countries where the custom is for education to be free, persons with autism and their families should expect the same rights. In those countries where other systems prevail the system of payment should be no less favourable than that applied when children without disabilities are considered. 4. THE RIGHT of persons with autism (and their representatives) to be involved in all decisions affecting their future; the wishes of the individual must be, as far as possible, ascertained and respected. Persons with autism have a particular difficulty in making decisions. This is the result of a) not being able to envisage the consequences of decisions which are made and b) not being able to express their views or opinions. Consequently it is tempting for those having responsibility for the implementation of services to make the decisions on behalf of the person with autism and the person for whom the service is provided is left frustrated and disappointed at decisions made in his or her name. Persons with autism do not always make a fuss or react violently to suggestion made to them but acquiescence should not be taken as agreement with decisions taken in their name. No effort should be spared in explaining the options available even though this may be time consuming and the explanation, perhaps, unintelligible to the subject. No attempt should be made, by enquirer, to obtain particular responses by deception or by the omission of significant details. Exploiting the vulnerability of persons with autism by allowing them to express an opinion based upon false, incomplete or inadequate information is worse than allowing no choice at all. Even those persons with the severest forms of handicap can usually make their preferences evident. Even when unable to verbalize, their beheviour, equanimity, pleasure or distaste can be observed and their preferences determined by those who know and understand them. When, and only when, it remains impossible to determine the wishes of individuals concerned, the person’s relatives, carers, advocates and friends (particularly those suffering from autism) may need to be consulted. Even when the person with autism is believed to be incapable of understanding proceedings where decision may be taken which affect them directly, they should be present during that discussion. Their physical presence will help to focus the minds on the subject of discussion and will expose and minimize comment which undermines the dignity and humanity of the individual. It is recognized that it may not be in the best interests of the person with autism that all his/her wishes be acceded to but where such wishes, expressed or not, are over-ruled explanations should be provided. All records of agreements, statements and minutes from such meetings should be subject to the approval of the person with autism and/or their representatives. Satisfactory housing is a basic requirement for any form of civilized life. The person with autism will be unable to obtain housing or to pay an economic rate for it without the support of others. Such help as is required should be available from the state. The type of housing provided should be commensurate with the needs, abilities and, as far as possible, the wishes of the individual concerned. It should not be remote and isolated from society but should, as far as practicable, be in an area where support from family and friends is possible. The type of housing should correspond, in quality, with that available to the rest of the population. Multiple occupancy of bedrooms or a ward structure where toilet and personal hygiene facilities are shared by many would not be considered suitable housing. Any form of housing should be of the least restrictive possible given the needs and the safety of the individuals concerned. The provision of appropriate housing is but the first requisite in the creation of a satisfactory environment for persons with autism. The facilities within the housing should satisfy the same regulatory and safety standards as are required in normal housing. In any group situation, the facilities should permit withdrawal from other members of the group when requested by the individual. Furniture, furnishings, equipment and consumables should be ‘non-institutional’ in design and should encourage the expression of individual preferences and interests. Persons with autism should be encouraged to take a proper pride in their appearance. Clothing should be of the type and quality available to the normal population. The provision of old, second-hand, old-fashioned or uniform clothing is degrading and stigmatizing to the individual. Parents and carers must be conscious of the possibility of enforcing their own standards of dress upon their children with autism when such styles would attract attention in much younger persons. The same considerations would apply in other areas such as hair styles, make-up or ornamentation. Persons with autism will always need a degree of continuous support. In some cases this support may need to be only at ‘arms length’ where the mere knowledge that support is available is sufficient encouragement for the person with autism. For the vast majority considerable support will be required and should be available at an appropriate level. Such support should not take the form of merely caring for the individual by feeding, cleaning and assuming responsibility for all decisions. The support should be designed to encourage independence in the individual by helping him or her to take responsibility in these areas. Although it is not always evident, persons with autism do take pride in their appearance, their achievements, skills and independence. Developments in all these areas lead to an increase in the confidence and dignity of each person. 7. THE RIGHT of persons with autism to an income or wage sufficient to provide adequate food, clothing, accommodation and the other necessities of life. If the dignity of the individual is to be conserved, the money required to purchase appropriate provision or support the personalized plan should be sufficient. It should be allocated to the person so that if alternative placements are found the money to support it is available. Wherever this is feasible, it should be paid in the form of a wage or salary to be used for the purposes described above. Even where the support is directly attributable to a work programme but is in the form of a grand, it should still continue to go with the individual. The burden of payment for service provision should be the ultimate responsibility of the community at large and should not rest entirely with the family of the person with autism. This does not, of course, preclude the provision of additional items or services by the family. A financial allowance of some sort should come under the direct control of the person with autism. The person should be completely free to spend this allowance on whatever he or she chooses provided that the chosen items are not harmful to the individual or to others. 8. THE RIGHT of persons with autism to participate, as far as possible, in the development and management of services provided for their well being. The person with autism must be encouraged to participate in all decision making processes which concern services provided for their benefit. The denial of such rights is illogical and unnecessary and appropriate mechanisms must be found in the design and implementation of all such services. In a group situation such as a group home or small community, all clients should be consulted and given the opportunity to be included in any decision making process which affects the operation of the service. Autism presents especial difficulties which may preclude the appointment, by the members of the group, of a representative who can speak on behalf of all. The involvement of each individual is, therefore, important. The service users should be involved in decisions about all activities especially those connected with leisure time, food, furnishings, decorations, ‘rules’, timetabling, outings, entertainment, work experience, future plans and developments. Even when the person with autism apparently contributes little to the final decision, their presence and potential for involvement will limit patronizing behavior and will enhance the confidence and self esteem of that individual. 9. THE RIGHT of persons with autism to appropriate counselling and care for their physical, mental and spiritual health; this includes the provision of appropriate treatment and medication administered in the best interests of the patient with all protective measures taken. As well as the formidable obstacles which their condition presents, persons with autism experience the same problems as the other members of society and often in a more severe form. Problems such as bereavement, separations and movement from familiar surroundings are stressful for all of us but the effects can be devastating for those whose understanding is incomplete. Counsellors with an understanding of autism should be available to help, advise and support the person through the difficult periods. In the same way, persons with autism are liable to the same range of health problems as anybody else. Because persons with autism are often unable to articulate any feeling on unhealthiness, carers must be particularly alert for any evidence of health problems. Routine health checks should be performed and the results recorded. Such monitoring should cover all the areas which would be covered in normal life. Tests should include checks on eyesight, hearing, dentition as well as direct medical areas such as blood pressure, cholesterol levels etc. The fact that the subject does not complain or report ill health must not be taken as evidence of health. Where problems are identified, the same standards of treatment should be applied as would be the case with the general population. Where medication is appropriate it should be correctly administered and the results monitored. Particular attention should be applied for potential side effects and where observed steps should be taken to eliminate them either by removing the medication; altering the dosages or, as a last resort, by giving other medication to minimize such effects. Where it is desirable, circulating drug levels should be monitored. The effectiveness of any medication must be reviewed regularly and any unnecessary, ineffective or perhaps harmful medication or treatment must cease or be withdrawn in the safest manner. Any medication, therapy or treatment should only be used when it is of direct advantage to the person with the autism. Such treatments must never be given solely for the benefit of carers. Although the capacity for a person with autism to comprehend the bases for religious faith, observations suggest that such persons can benefit from exposure to religious experience. The opportunity for involvement in appropriate religious fellowship must be available. This must be especially true where the individual concerned or his family have expressed an interest in spiritual matters. The religious experience offered must, as far as is possible, coincide with the wishes of the person with autism or their family. In the same way, persons with autism should also have the right to opt out of religious experiences where such a wish is expressed by them. 10. THE RIGHT of persons with autism to meaningful employment and vocational training without discrimination or stereotype; training and employment should have regard to the ability and choice of the individual. As we become older it is natural to seek dignity and increased self esteem through work which is satisfying, interesting, worthwhile and within our capabilities. Persons with autism should have the opportunity to perform work which meets these same needs. Too often persons with disabilities are required to perform meaningless and repetitive tasks which, apart from occupying time, have no ultimate function. The fact that persons have difficulties in communication does not imply such a degree of stupidity that these tasks will become, in any way, rewarding. The enforced completion of actions which are obviously pointless is both confusing and degrading. Persons with autism should have the opportunity to perform a variety of tasks and share in a variety of work experiences. Only when such a variety exists and persons are aware of them can there be any choice of activity. Persons with autism, because of their inherent difficulties, could require considerable help in performing relevant duties. Efforts should be made to teach and encourage them to attempt some new tasks which may, at first sight, appear challenging and beyond their capabilities. Ultimately tasks must be found which are appropriate to the abilities and accord with the desires of the individuals concerned. Wherever possible, attempts should be made to seek employment within the community at large but, where this is attempted, considerable support for the individual and advice for fellow workers should be available. Persons with disabilities are often given the unpleasant, repetitive and dirty jobs which are avoided by other employees. Such discrimination must be avoided. The activities of any individual must be reviewed regularly to ensure that they reflect the developing aspirations and abilities of the individual. Even when a person with autism is apparently satisfied with his occupation, it may be appropriate to consider experience with an alternative. It may be that the person still prefers the original occupation and so the possibility of returning should exist. All persons with autism should have the opportunity to share in the running of their own “homes”. Although professionals may assist or supervise such tasks, residents should be involved, at whatever level is possible, in the cleaning, maintenance, food preparation in their own home as well as tasks concerned with their own cleanliness and clothing. Such work should not be left totally to nursing or domestic staff. 11. THE RIGHT of persons with autism to accessible transport and freedom of movement. Without accessible transport, the means to freedom of movement, life becomes a form of imprisonment. Persons with autism should have access to those forms of transport compatible with their requirements for mobility and their abilities. Those with sufficient abilities shoud be encouraged to use the same forms of transport as the general population. Training schemes should be utilized to permit the use of public transport wherever possible. Sometimes it may be appropriate for persons with autism to utilize cars or bicycles and this should be encouraged where appropriate. Some from of “mobility allowance”, which should be used for transport, should be included in any grant, pension or allowance which is provided by public authorities or other funding agency. Where means of transport are provided by service providing agencies, they should, as far as is practicable, be as similar as possible to normal vehicles. The use of ambulances or other prominently marked vehicles with an obviously institutional appearance is stigmatizing to those being transported and re-inforces the concept of “being different” which we are fighting to eradicate. 12. 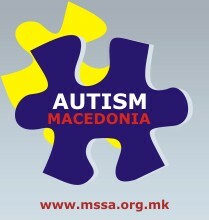 THE RIGHT of persons with autism to participate in and benefit from culture, recreation and sport. Persons with autism need relaxation just as much, if not more, than non-disabled persons. A range of activities which cater for individual needs and inclinations should be provided. A variety of activities which include participation in, as well as observation of, culture, entertainment, recreation and sport is vital. Individuals should be invited and encouraged but nor forced to participate in such activities. Very often a degree of persuasion may be necessary because of a lack of confidence resulting from the autism itself. Whilst recognizing that some activities are best suited to a closed environment, wherever possible the utilization of outside facilities and involvement of non-disabled persons is advocated. Such activities should be interesting and varied. The mere repetition of rituals and other meaningless activities is neither stimulating nor therapeutic. Persons with autism can benefit from exposure to high quality art, music and other creative activities. 13. THE RIGHT of persons with autism of equal access to and use of all facilities, services and activities in the community. One of our main objectives is to allow and encourage persons with autism to take their rightful place in society. Access to all the facilities available to normal society is a prerequisite if such objectives are to become a reality. The barriers which prevent active involvement are largely a result of misunderstanding. On the one hand, the general public have a fear of all forms of disability and need to be reassured, through education and increased awareness, that persons with autism will present no threat and can, through their participation, enhance their own enjoyment of any activity. On the other hand parents, carers and the persons with autism themselves must accept the challenges which normal life presents. Persons with autism should not be prevented from attempting activities through over protectiveness or timidity. Experience has shown that, given appropriate encouragement and instruction, persons with autism can accomplish much which would, at first sight, appear beyond their competence. Embarrassment, awkwardness and confusion are less common in the person with autism than in carers, the general public and onlookers. Such responses will only be eradicated through experience, explanation and familiarity. Without the right to use the range of facilities and services available to the rest of the community all education and training is pointless. 14. THE RIGHT of persons with autism to sexual and other relationships, including marriage, without exploitation or coercion. The rights of persons with autism should reflect precisely those available to the rest of the population. They should reflect the legal situation and social customs currently prevalent in the country concerned. These rights should take particular account of and be responsive to the particular nature of the difficulties which autism presents. Particular attention should be applied to the wishes of the individual. It is sometimes not difficult to persuade a person with autism to voice a certain decision even when it is clearly against their natural inclination. In order to avoid the possibility of coercion through this mechanism, carers should ensure that any participant with autism is aware of the consequences of their decision and actions. Similarly, it may be difficult for a person with autism to enjoy any form of relationship without encouragement and from carers who are sensitive to the problem of autism. Many persons with autism, particularly those who are more severely afflicted, show little interest in sexual relationships and will consequently show little interest in such activities. Others will show much interest but will lack the communicative and social skills necessary to express their interest and desires. Advice and encouragement will almost certainly be necessary for the attainment of successful relationships. The necessary support should be available. Informed and sensitive advice on birth control and genetic counselling are necessary. Where marriage takes place, the partners should not be separated but be encouraged to live together in the normal way. Where a person with autism demonstrates the desire for sexual activity yet, through a failure to understand the correct social conventions, is awkward and unable to achieve his or her objectives, the use of powerful hormonal drugs which diminish libido is inappropriate. Such actions should only be considered where there is a definite risk of a serious criminal assault by the person. 15. THE RIGHT of persons with autism (and their representatives) to legal representation and assistance and to the full protection of all legal rights. All citizens, whether or not they are experiencing any form of disability, should share the same legal rights and expect the same protection from the law. Persons with autism should not lose those rights because they are unable to represent themselves in a forceful manner. Rather, the protection afforded by the law should be strengthened in recognition of this increased vulnerability. It is unlikely that persons with autism will be able to initiate or sustain legal actions in support of their rights. Under such circumstances, independent legal representation and assistance, should be freely available to individuals or, if appropriate, their carers. It is necessary for the care and treatment afforded to persons with autism to be constantly monitored by an independent agency. This role should not be left entirely to the service provider. Where any deficiencies are observed these should be pointed out by the monitoring agency and appropriate action taken to remedy them. Where further action is appropriate and the person with autism may not be able to adequately pusrsue his case, an independent advocate, speaking on behalf of the person with autism should be provided. Legal aid, in terms of finance, should be provided by the appropriate agency when recourse to the courts becomes necessary in the interest of the person with autism. 16. THE RIGHT of persons with autism to freedom from fear or threat of unwarranted incarceration in psychiatric hospitals or any other restrictive institution. In a civilized country, removal from society would be reserved for those persons who have been judged guilty, in a court of law, of a serious criminal offence. The isolation from society of persons with autism who have committed no such offence is inappropriate and unjustifiable. The routine incarceration of such persons is evil and a severe indictment of any country where the practice continues. It is recognized that there could exist a very small group of persons with autism whose behaviour is still so difficult that a properly staffed psychiatric hospital is appropriate. Such a facility should only be considered when it is proven beyond doubt that the person with autism presents an actual and severe threat to him or herself or other members of society if in a less restricitve environment. Where, as a last resort, a psychiatric hospital is deemed appropriate, the service must offer genuine educative and training programmes which are subject to all the principles described in this charter. Progress should be monitored and the situation reviewed constantly to ensure rehabilitation into a less restrictive environment at the first possible opportunity. 17. THE RIGHT of persons with autism to freedom from abusive physical treatment or neglect. Any therapy used in the treatment of persons with autism must be potentially benefical to the individual with autism. Methods which depend upon any form of punishment for inappropriate behaviour are not acceptable in society at large or when applied to persons with autism or any other form of disability. Where such practices occur, they should cease. If such actions are serious or if they are continued after their unacceptability has been established those responsible should be disciplined according to local custom and law. 18. THE RIGHT of persons with autism to freedom from pharmaceutical abuse or misuse. Medication should be used sparingly and only when absolutely necessary. Herever possible, the medical practitioner should be able to discuss, with cares, the possibility of using strategies other than those using drugs to overcome the particular problems. Medication can never be acceptable as a substitute for adequate care. Persons with autism have a right to medication only when it is for their own benefit and their own interests. No medication should be provided when ythsi is merely for the convenience and ease of those caring for them. No medication, part form that which is freely available to the general public, should be administered expect under the direct control of a qualified and competent registered medical practictioner. No effective medication is free of side effects and the prescriber must be confident of a therapeutic advantage in any prescription. Where there is a likelihood of significant side-effects, the individual must be monitored for their occurrence. Those immediately in contact with the person must be warned and alerted to any potential side-effects and these should be reported immediately to the prescriber for his or her consideration. Persons with autism do not always respond as expected to drugs so any abnormal effects must be reported to the prescriber. All medication must be of the quality and standard normally accepted in that country. Medication must be given to the patient in the form specified and must be given at the specified dosage, conditions and time intervals. Prescribers should take steps to determine circulating blood levels where apropriate and possbile. The individual’s response must be monitored on a formal basis. Any ineffective medication must be stopped. Where side-effects become apparent steps should be taken to minimise them. Individuals should be monitored for the early signs appearance of long-term effects such as dyskinesias. Medication should, in any case, be reviewed regularly and wherever possible minimised or replaced by substitues which may be safer or more effective. Except for short periods of time and in particular circumstances, the use of major tranquilisers cannot be justified. Certain atypical tranquilisers, used at low dosages, may be appropriate for certain individuals on a longer term basis. Generally the use of tranquilisers does nothing to help the basic autism but serves only to sedate the afflicted person and to make him or her more manageable. At the same time such drugs will impair learning and decrease the happiness and understanding of the individual. Long term effects, including the occurrence of tardive dyskinesias are irreversible. Funding should be available, from the responsible agency, to pay for appropriate medication. 19. THE RIGHT of access of persons with autism (and their representatives) to all information contained in their personal, medical, psychological, psychiatric and educational records. Although the extent of availability may vary, it is a legal requirement in many countries that persons should have the right of access to all information about themselves which is stored on official records. It is unacceptable that such information is available for others to read but not to the person, or in the case of many persons with autism their representatives, most affected. Many instances have occurred where inaccuracies caused by ignorance, misunderstanding, prejudice or malice, have appeared in official records. Such inaccuracies can endure permanently unless challenged and corrected; inappropriate or unfair treatment may occur as a consequence. Official records should, wherever possible, be agreed by the agency and the person (or their representative) before becoming part of any official record. The care and treatment of persons with autism relies upon a partnership between many agencies. Such a partnership can only be successful when all participants, including those most affected, work together towards common objectives and based upon the same information. The personal information stored in such records should not be made available to outside agencies, including researchers, without the express permission of the person with autism or, if this is impossible, their representative. 3 . Instructs its President to forward this declaration to the Institutions of the Union and the governments and parliaments of the Member States.